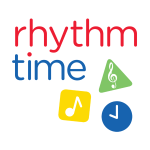 10.50am Young Babies (0-6 months) Young Baby classes are run as 4 week courses costing £20. Please check our website for the dates they are running. Our next course is from 3rd - 24th May 2019. Tuesdays at Maple Lodge, Fridays at Lymm Methodist Church.